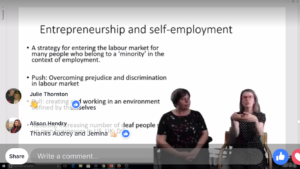 In this blogpost, Audrey Cameron and Jemina Napier explain what has been happening so far on the DESIGNS project (promoting access in employment for deaf people), since the last update in November 2017. 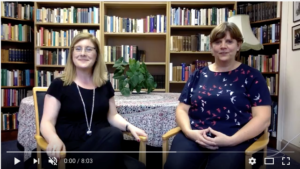 Audrey has just finished interviewing nearly 40 deaf sign language users on their experiences of employment and Jemina is interviewing sign language interpreters on their experiences of working with deaf people in their workplace. We will start analysing the data in the new year. We will also be looking into interviewing employers in early 2018 for their perspective on deaf people in employment. 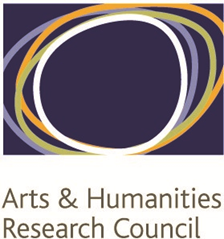 We are delighted to be working with a new project partner – Vercida. 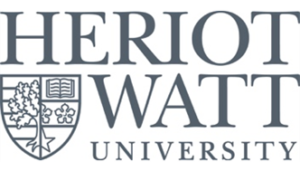 The company was previously known as ‘Diversity Jobs’ and they have a good network of contacts with numerous companies and employers across the UK. Vercida is keen to work with us to recruit employers for the DESIGNS project. 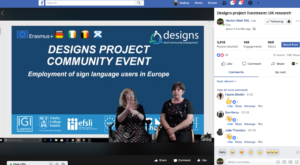 The next DESIGNS community event will be in Bruges, Belgium, in January 2018 and hosted by one of our project partners the European Union of the Deaf, where we will introduce the project to the local deaf community and local sign language interpreters. 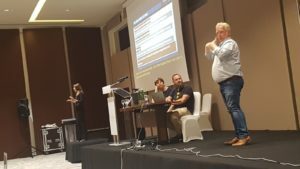 We would like to thank all the deaf sign language users and sign language interpreters for participating in the project so far and sharing their employment experiences. Audrey: We’re here to talk to you about the latest on the Designs Project. Jemina: I thought it would be nice to provide you with an update so you know what we’ve been up to. So, Audrey what have you been doing since you started working on the project in October, in the last two, almost three, months? Audrey: Has it been two months? The time has gone really quickly. 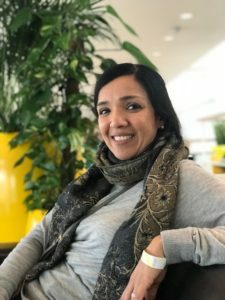 I’ve been interviewing deaf people who we’ve put in different groups according to their employment status, i.e. those already in employment, those who are looking for work and aren’t currently in employment, and people who are self-employed and/or run their own businesses. So it’s going really well; numbers wise, in total I have met with almost 40 people, which is good. Audrey: What about you, Jemina? 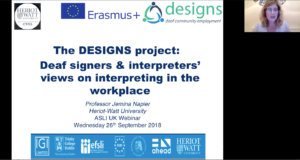 Jemina: For my part, I have been focusing on interpreters, obviously I’m an interpreter so I have been interviewing interpreters about their experiences working with deaf people in employment settings. This could interpreting at job interviews or actually in the workplace; I’m looking at any barriers they may have come across; how things have gone – both good and bad experiences. 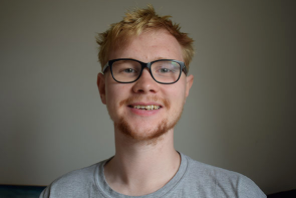 Audrey and I have been talking about this and it’ll be really interesting, as we will work through the data, to see the differences and similarities from two different perspectives – how interpreters perceive things and, in your case, Audrey, deaf people’s views. It’s going to be really fascinating to see how they compare. Audrey: Yes, it’ll be interesting. The next step will be to approach employers – we’ll be asking them what it is like for them working with deaf people, or if they don’t have any deaf employees, what they think about having deaf people working for them; we’re looking to start doing that in the new year. Jemina: Yes. We’re also fortunate enough to have a new project partner, a company called ‘Vercida’. Vercida were previously known as ‘Diversity Jobs’; they’ve built up a really good network of contacts with numerous companies and employers across the UK. Vercida advises employers on how best to go about recruiting people with a range of disabilities and not just disability, also people who are gay or lesbian, so their focus is diversity in general in the workplace. They’re really keen to work with us on the Designs project and to look at ways to encourage employers to think about how they can recruit deaf people. So next year we’re going to be working closely with Vercida and they’ll be helping us make contact with employers, we’ll also maybe interview them and arranging visits to meet with employers. That will mean we’ll be able to explore things from three different perspectives – employers, deaf people and interpreters. 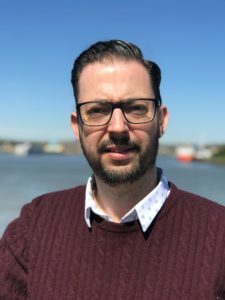 We’re really pleased to have Vercida work with us and I know they’re really keen to partner with us – so that’s all very exciting and positive. 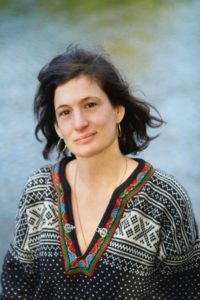 Audrey: I think we had thought it might be difficult for us to approach and find employers willing to participate in the project, but having Vercida helping us with that will make the process easier and we really are grateful for their support. Audrey: Next year there will be more community events like the two events we had here this year; the first one was in Dublin, Ireland – that’s right Jemina, isn’t it? Audrey: … and it’ll be in Bruges in Belgium in January 2018. 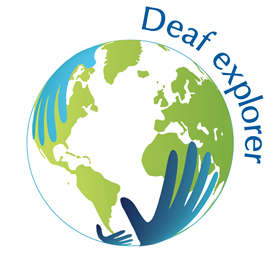 Looking forward to going to meet people from both the local deaf community and locally based interpreters in Belgium. Jemina: Anyway, we’ll let you know when we have anything new to share with you, probably sometime in the new year when we’ll be due a 6 months update on the project, so that’s us…. 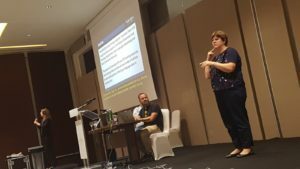 Jemina: Yes, a big thank you all the deaf people and interpreters who have participated!